It’s fairly common for children to go through a phase of needing to be first or best at everything. This might be first to get out of the car, or first to touch the front door. It might be best at running fast or writing letters. This push varies widely with some way more than others, and boys often more than girls. It tends to start around four years old and hopefully subsides for most by seven or eight. As difficult as this phase can be, it is at least partly stemming from a good place. As children grow they are gradually developing a sense of self. For two year olds, the focus is ‘who am I in this family?’ For three and four year olds, it is ‘what am I good at, what do I like?’ For four and five year olds, it’s ‘how do I rank with those around me?’ When you have a bunch of five year olds moving through a phase of ranking themselves against each other, there is bound to be some competition. A child’s self esteem has its foundation partially in a growing sense of competence. As children learn new skills and rise to face new challenges, the outcome is a bolstered sense of self. Children often feel proud of their new skills, as they should. This pride and the language that comes with it may also increase the comparisons. Start with empathy often – When children are emotional, empathy is so often the best place to start. For this, it might be “I know you are frustrated. You really wanted to be first.” This is before any coaching, limit or discipline. Refocus on effort, fun or friendship – You might comment on how hard they are working, how much fun the game was or how they are making so many new friends. Avoid pointing out they are better than others – This would be saying, “I know you lost to John, but you were faster than Eric.” This heightens the focus on competition. Avoid pointing out other strengths – This might be, “you may not be as fast as him, but you draw really well.” This is just agreeing your child is slow, and, again, it’s competitive. Solve it – Especially between siblings, in the long run you might want to make a rule with the goal of ending the debate. Some families do odd and even days, on odd days one child goes first at everything and makes all the decisions on even days the other. Some families have bracelet days, meaning whoever is wearing the bracelet is first and makes decisions, and the bracelet is passed daily. Highlight practice – It is good for children to realize that practice and effort are the ways to get better at just about everything. The more they practice at or learn about something the better they will be and more confident they will feel. Give cooperative challenges – Over time it can be helpful to give cooperative challenges. Between siblings better to say, “let’s see if you can help each other get dressed before me,” so they are working together. Rather than saying, “let’s see who can get dressed first,” so they are hating each other while they get dressed. If it’s a rush to touch the door first, it is stopping them and, instead, challenging them to touch the door with their noses at the same second. There are a few books for cooperative effort ideas: Everybody Wins: 150 Non-Competitive Games for Kids by MacGregor and Everybody Wins: 393 Non-Competitive Games for Young Children by Sobel. Focus good sportsmanship – Rather than focusing on winning and being first, focus your parenting language on being a good sport, a team player. It may be helpful to suggest language each time and help them to be a good sport for a while. Encourage them to cheer for others, be happy for others – Being a good sport includes handling loosing in a good way. This is as small as managing when they don’t touch the front door first when running from the car. This may take lots of review. It’s saying things like “good job,” or, “wow, you were fast,” to the other child. It might be easiest to introduce this when they aren’t involved in the competition. An example of this would be cheering as a spectator at their siblings soccer game. Focus on teamwork rather than individual – It may be helpful to focus your parenting language on teamwork, cooperation and the benefits of working together. This may include referring to your family as a team. You might point out one way each day that various family members are helping or cooperating with each other. With other children, it may be helpful to remind them they are friends and to think about at least one thing they like about the other. Teach children to compete with their own personal best – If it’s running, point out that they are faster or they ran farther than they did before. Again, helpful to focus on their effort, progress and practice. Start teaching to win and lose at games and sports – Being comfortable with winning and losing at games and sports can carry over towards this push to be the first or the best. Here is a post about learning to manage that competition. I will start here by saying; I want my kids to be competitive. I want them to work hard, play fair, enjoy the process, celebrate the wins and learn from the losses. This goes for their academics and their athletics. Teach cooperation first – As children grow, having a cooperative nature helps to curb the ugly side of competition. Between siblings you can give cooperative challenges such as, “let’s see if you can help each other get dressed to beat the timer,” rather than, “let’s see who can get dressed first.” You might plan cooperative projects more often like washing the car together or building an obstacle course together. You can talk about your family as a “team,” or as needing to help each other out as often as possible. Highlight when children are being helpful or cooperating with others. 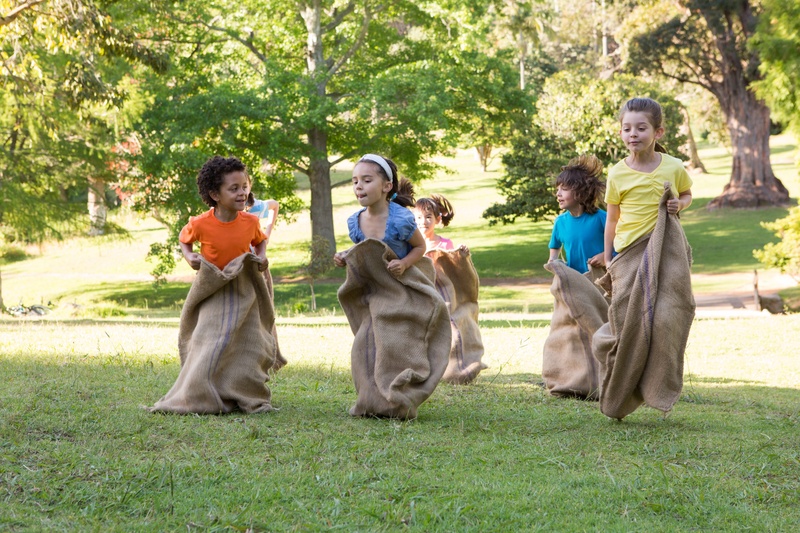 Introduce games with cooperative effort – There are lots of cooperative effort board games including Snail’s Pace Race (or Caterpillar Crawl, same game), Colorama, Race to the Treasure, Hoot Owl Hoot, Stone Soup, and Feed the Woozle. Cooperative effort games teach the turn taking, rule following and fun aspects of board games without the competitive component. Candy Land can be cooperative (and much shorter) if everyone is working together to move the blue guy to the end. As children get older, there’s Pandemic, Space Alert, Harvest Time and many other cooperative games. Introduce winning and losing in small ways – By three-and-a-half or four years old, you might introduce small games with winners and losers. This includes tic-tac-toe, rock-paper-scissors and Hulabaloo which each take less than a minute or two to win or lose. Talk through winning and losing – As you play these games, occasionally talk about what it feels like to win and what it feels like to lose. Brainstorm gracious things they can say or do when they win and good sport things they can say or do when they lose. Avoid letting your child always win, to learn how to be a good sport loser they have to have experiences with losing. When your child wins, teach them to shake hands or smile and compliment the other players. This can be as simple as saying, “good game.” Directly curb boasting or any dig at the other players. When your child loses, teach him to shake hands or smile and congratulate the other players. Work towards curbing tantrums and visible or loud upsets. It can be most effective to work on this out of the moment thru role play, puppet shows, drawing pictures and asking hypotheticals. There are free workshop on teaching social skills at http://parentingplaygroups.com/MemberResources/index.php/welcome/ . Gradually play longer games – By four or five years old, move to games like Zingo, Go Fish and Uno that take a few minutes to win or lose. Then move to longer board games, such as Chutes and Ladders or Trouble. All along model, practice and discuss ways to win and lose. Move to sports – As children can manage winning and losing at board games, you might introduce winning and losing at sports. Again, at three, four or five years old it’s just about learning how to play, how to throw and catch and kick a ball. It’s about learning how to participate in classes and games, and how to listen to a teacher or coach. Actual winning and losing should start small here too. Think relays and races, 5 minute games, not 45 minute games. Introduce competition – By six, seven or eight years old, many children with this supportive background are ready for competition in bigger sports. They are practiced at winning and losing, and know better how to manage themselves through the process. Focus on individual skill building, effort, teamwork and progress – During this time and as they move into being competitive in sports, focus on their individual progress and growing skills way more than competition. Highlight their efforts, their hard work, their enjoyment and teamwork all in the positive. Focus children on doing their best, fully participating and giving their all. Highlight the importance of practice – If your child wants to be better at something, talk about how doing anything better takes practice. Whether it’s improving her swim times or being better at playing the guitar, consistent effort and practice is what gets you there. Reframe losing as a part of the game – To be able to play you have to learn to manage losing. Losing gives an opportunity to rethink strategies and evaluate skills, and let’s you know what to practice.